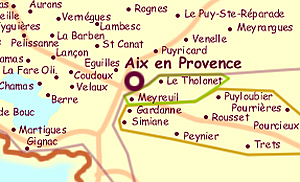  Route des Vins AOC vineyards around the Pays d'Aix. 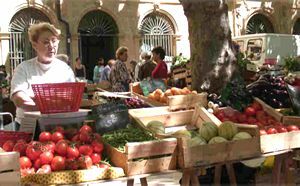  Aix en Provence olive oil - AOC where one can find the local production of quality oil. Just to the north of Arles, Provence's chief Roman metropolis, the Rhône river divides into two: to the west the "Petit Rhône" flows down to the "petite Camargue", Aigues Mortes, and les Saintes-Maries-de-la-Mer, and to the east the "Grand Rhône" which embraces the salt works (Salin de Giraud) and the petro-chemical industrial complexes of Port Saint-Louis, Port de Bouc, and Fos sur Mer. 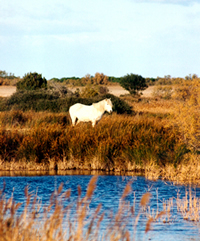 Between and around them lies the vast delta of salt marsh known as the Camargue National Park.